Los Angeles, US. Dec. 8, 2017 — Amiko Digital Health Limited (Amiko), provider of advanced medication sensor technologies and AI-powered digital health tools, announced that the company has been recognized as the recipient of the 1st prize at the IBM Watson AI XPRIZE’s annual Milestone Awards. The XPrize is a global competition to create AI systems to solve some of the world’s biggest challenges. The London-based company, who is developing a system to upgrade respiratory care, the Respiro Platform, will continue on to the next year of the competition as the top entry of 2017. Amiko integrates AI within a medical sensor that fits the inhalers that patients are already using, to monitor inhaler use and inhalation technique, capturing parameters such as inhalation flow rate, flow acceleration, inhalation volume, inspiration time, as well as the patient’s handling of the inhaler. This data flows into Respiro, a platform designed to evolve with therapeutics, patient-reported, behavioural, physiological, and environmental data, with the goal to create a system that uses AI to suggest an optimal path of therapy for each patient; to generate models for early prediction and prevention of exacerbations in asthma patients; to help simplify self-management, controlling the disease and improving the patient experience. Further prize money will be awarded to the top 10 finishers in 2018 and 2019, with the three top-10 rounds (2017-2019) collectively accounting for $500,000 of the $5 million total allotted for the XPrize. In 2020, at the Grand Prize event on the TED2020 stage, the remaining $4.5 million will be awarded to the top three finalists: $3 million to the first-place finisher, $1 million for second place, and $500,000 for third place. The third-prize winner will be selected with the help of voters at TED2020. Amiko develops advanced sensor technologies and AI powered mobile health solutions to assist healthcare professionals and empower patients to achieve better outcomes. Founded in 2014, Amiko has headquarters in central London and ISO 13485 certified R&D laboratories in Milan. Today, Amiko serves commercial, institutional, and individual customers in Italy, Germany, France, Spain, UK and the Netherlands, and is growing to become a global provider of advanced therapeutics data and digital disease management services, empowering patients, healthcare professionals, and payers to realize a shared vision of a digital health enabled future. Amiko’s flagship product is Respiro, a connected platform that offers smart devices, applications and analytics to upgrade respiratory care, improve health outcomes and reduce cost of care. Respiro includes medication sensors that collect unique inhalation data, to help monitor compliance, lung function and disease progression. The sensors are bundled with a mobile application, which receives this data via Bluetooth Low Energy and offers simple metrics and personalized support for improved disease control. The Respiro Platform includes a suite of professional oriented applications, designed to empower healthcare professionals with remote monitoring tools, AI-enabled therapy suggestions and data analytics for them to make smarter decisions, and personalize treatments to the needs of the patients. Respiro has been validated in laboratory and clinical settings with world-renowned key opinion leaders and shown to significantly improve medication use and health outcomes. 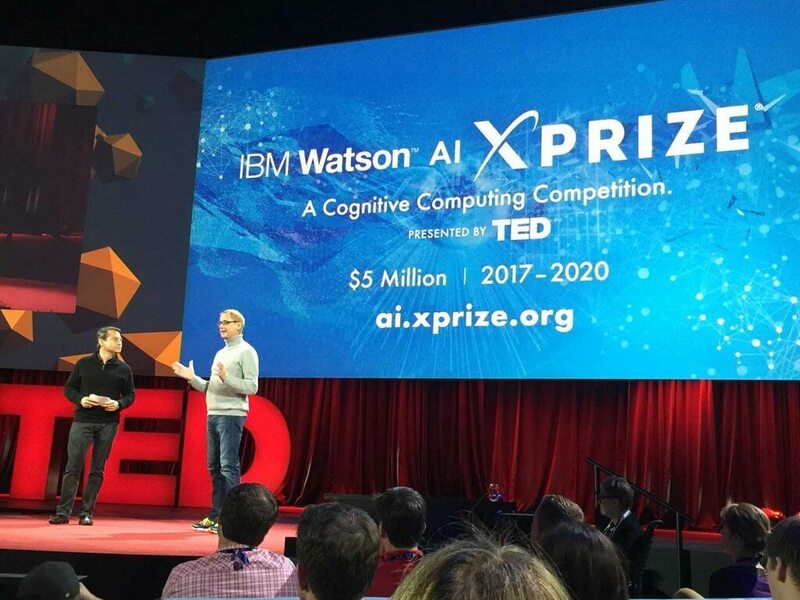 The IBM Watson AI XPRIZE is a $5 million competition, challenging teams globally to develop and demonstrate how humans can collaborate with powerful AI technologies to tackle the world’s grand challenges. The prize aims to accelerate adoption of AI technologies and spark creative, innovative, and audacious demonstrations of the technology that are truly scalable and solve societal grand challenges. To encourage innovation in any form, the competition is an open challenge in AI. Rather than set a single, universal goal for all teams, this competition will invite teams to each create their own goal and solution to a grand challenge. 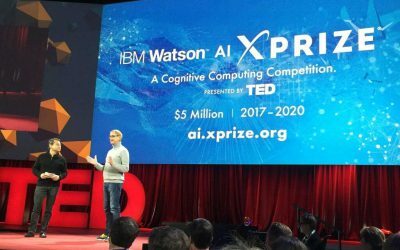 The IBM Watson AI XPRIZE is a four-year competition with annual milestone competitions in 2017 and 2018. The top three finalists will compete for the Grand Prize at TED 2020.